Kyle Williamson is the owner and founder of DoveTel Communications, LLC., DBA SyncGlobal Telecom, and serves as the company’s CEO. In 2000 Kyle began marshaling support from municipal organizations and the local business community to improve West Georgia’s communications infrastructure. This local support, coupled with his experience in the telecommunications industry, culminated in the establishment of SyncGlobal (DoveTel Communications, LLC.) as a registered CLEC in 2003. Kyle has founded other successful ventures including SyncGlobal’s parent company, SynchroNet, Inc., a telecommunications EF&I (engineering, furnishing, and installation) company for which he also serves as CEO. Prior to his entrepreneurial successes, Kyle was fast-tracked to the position of Senior Systems Engineer in Northern Telecommunications’ Broadband Network Engineering division and was on the front lines of the telecom industry during the chaotic boom years that followed the 1996 Telecommunications Act. 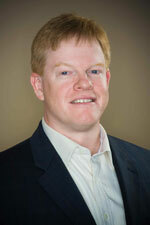 As an engineer and chief executive, Kyle’s telecommunications expertise is wide-ranging. From designing some of the first CLEC transmission and access networks, to working with OEM’s on next-generation technology development, to tackling the regulatory issues that affect providers and consumers alike, Kyle’s deep understanding of the industry makes him uniquely qualified to anticipate trends and position SyncGlobal for long-term, sustainable growth. Kyle received a bachelor’s degree in Electrical Engineering from the Georgia Institute of Technology. Kevin Turner started with SyncGlobal Telecom in 2006 as an Information Systems Architect providing technical customer support and directing internal IT initiatives. Kevin quickly established himself as a key contributor. His first assignment was the greenfield development of an operations management software solution to centralize customer billing and regulatory reporting. The result was SCRIBE, which evolved into SyncGlobal’s mission-critical integrated business management platform for billing, regulatory reporting, ticketing, circuit inventory, telephone number assignment, CRM, project management, and work flow assignment. In 2010 Kevin was promoted to Engineering/IT Department Manager. In this role he assumed departmental budgeting and staff management responsibilities, supervised customer network design, and spearheaded core infrastructure advancements. Kevin was promoted to the position of COO in 2011. He oversees all daily operational functions of the company with direct responsibility for network planning, service delivery, systems development, and IT operations. Kevin is a University of West Georgia graduate where he earned a bachelor’s degree in Chemistry. He holds several IT certifications and is also a board-certified forensic toxicologist. 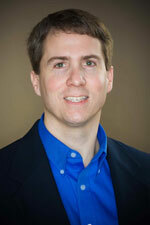 Todd Holdridge joined SyncGlobal Telecom as CFO in 2005. In this role, Todd oversees all corporate financial functions and is responsible for the development of financial and operational strategy along with metrics to evaluate strategic effectiveness. Todd has over 25 years of financial leadership experience and a unique aptitude for efficiency improvement and resource optimization within complex telecommunications environments. Previously, Todd held a senior management position at DeltaCom, now EarthLink, where he led a multi discipline team that was given broad responsibility to identify procedural inefficiencies, analyze expenditures, create budgets, and develop operational improvement initiatives. Todd received a bachelor’s degree in Accounting from Jacksonville State University. 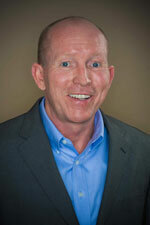 Jim Clotfelter has been with SyncGlobal Telecom since 2003. Utilizing his sales and organizational development experience, Jim initially served as Business Development Manager during SyncGlobal’s start-up years. He was promoted to Sales Director in 2005 where he led all customer-facing activity during a 12-month project to migrate over 16,000 wholesale subscriber lines to SyncGlobal’s facility-based softswitch. 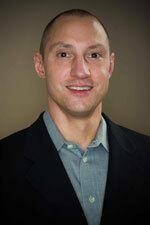 In 2010 Jim was promoted to his current position as Vice President of Sales and Business Development. He is responsible for strategic growth and retention planning, product implementation, interdepartmental coordination, and management of all sales and business development activity. Jim brought over eight years of sales, sales management, and organizational development experience to SyncGlobal. This experience includes organizational and human resource development consultancy with such clients as Delta Airlines, Allied Signal, Capital One, and Home Depot. Jim holds a bachelor’s degree in English from Virginia Military Institute, and a master’s degree in Human Resource Development from Georgia State University.